A unique event, for women entrepreneurs by women entrepreneurs, bringing the most inspirational women business founders from across the continent and the Diaspora together in one place. The Lionesses of Africa Annual Conference is an important one-day event that brings together truly inspirational women entrepreneurs from across Africa and the Diaspora to both celebrate success and help shape a new future agenda for women's entrepreneurship on the continent. It's an event by Africa's women entrepreneurs for women entrepreneurs - that's what makes it different. The Conference is the highlight of the Lionesses of Africa event programme which aims to share great business startup stories, inspire by example, and connect women entrepreneurs with each other for greater business success. The Conference is 'by invitation only' and will be free of charge to all attendees in line with our ethos. Put enough inspirational women entrepreneurs from across the African continent and the Diaspora together in one room and positive things happen. Networking connections are made, relationships are formed, and great business is done. What makes the Lionesses of Africa Conference different from other events is that the audience is made up completely of specially invited women entrepreneurs from across the African continent and the Diaspora, meaning that the focus is solely on discussing the challenges and opportunities for the growth of women owned businesses, both at home and abroad. The conversations on the focused panel discussions are honest, frank and engaging, with highly experienced women entrepreneurs providing their insights on a diverse range of topics from innovative financing models for women owned businesses; high impact strategies to break into new markets; global brand building approaches, and harnessing the power of technology for market advantage, to name but a few. Our 35+ speaker panel features the most inspiring women entrepreneurs and influencers from across the continent. Women who've successfully built businesses we can all learn from. There is nothing more powerful than getting up close and personal and hearing first-hand from highly successful women entrepreneurs, many of them legends in their own countries and business sectors, about how they have built their businesses and brands, often against all the odds. The Lionesses of Africa Conference provides a truly inspirational platform from which to share experiences, valuable business insights, personal business epiphanies, advice, not to mention laughter and a few joyful tears along the way. This really is a women's entrepreneurship conference with a difference. Learning the art of networking is key to building a successful and sustainable business, and the Lionesses of Africa Conference provides an unprecedented opportunity to meet and build valuable contacts with fellow women entrepreneurs and business influencers across the continent. 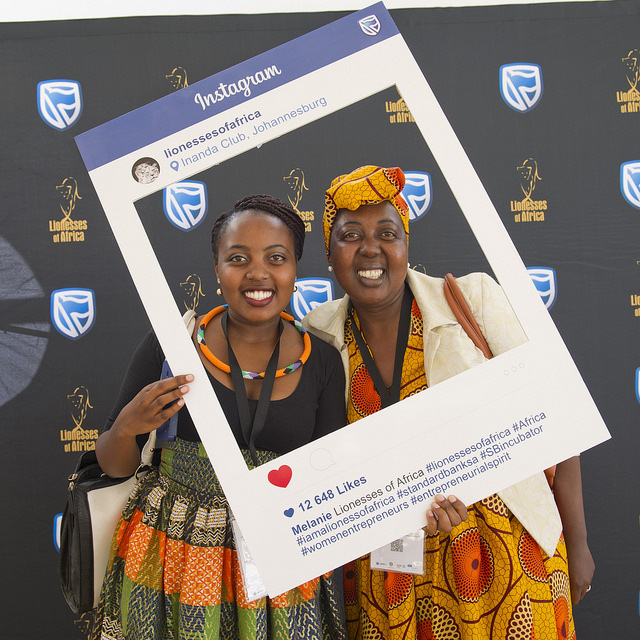 The Lionesses of Africa Conference creates a really special environment for women entrepreneurs to meet, connect, swop stories, explore business opportunities and build relationships that have the potential to last long after the Conference has ended. The African continent presents a wealth of opportunities for women entrepreneurs to access new and exciting markets, but one of the key challenges historically is not having networks to tap into on the ground in each country. The Lionesses of Africa Conference provides the potential for great networking and contact building in cities across the African continent and in the Diaspora. Lionesses of Africa is a social enterprise on a mission to positively impact 1Million African women entrepreneurs (the most underserved on the planet) by 2018. Our Impact Partners join our mission, helping us to build, scale and distribute the business tools, education programmes, events and community networks required to ensure that all women-led startups across Africa have the opportunity to flourish. Lionesses of Africa is a social enterprise that develops a range of online platforms, informative content, e-publications, business tools, development programmes, and events, for the benefit of Africa's women entrepreneurs, all provided free-of-charge. To fund the development of these products and to scale their distribution and impact across the continent, we partner with like-minded Impact Partners who share our commitment and vision for advancing Africa’s women entrepreneurs. Taking the voice of Africa's women entrepreneurs to the world, and partnering with leading global and regional media partners to make those voices heard. 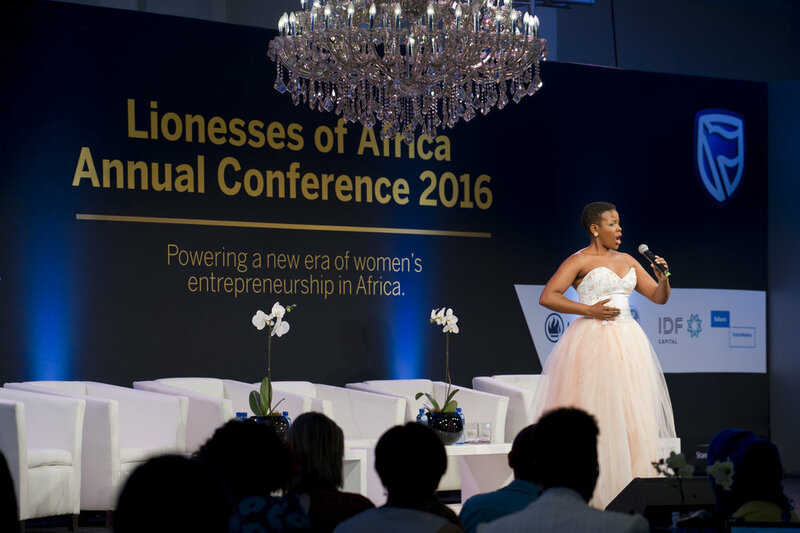 The 2016 Lionesses of Africa Conference attracted the support of Africa's leading media organisations, from print to broadcast, with reporters and tv/radio production crews in attendance covering the highlights of the event. For this year's event, we are formulating a number of strategic media partnerships which will ensure the widest distribution of inspirational and informative content to the Lionesses of Africa network of women entrepreneurs, before, during and after the Conference. 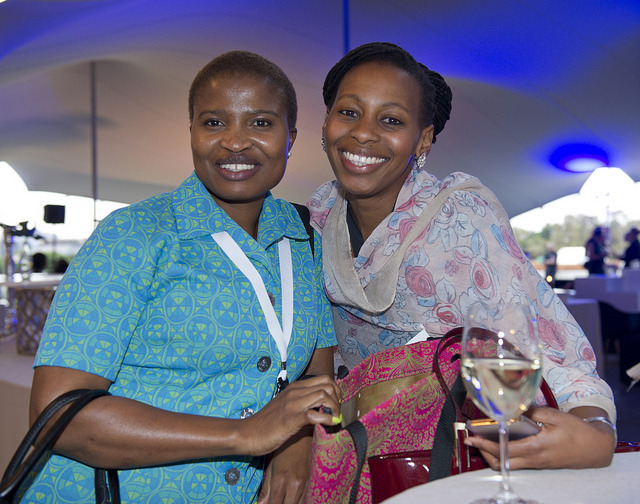 The Lionesses of Africa Conference is hosted in the spectacular surroundings of the Inanda Polo Club in Johannesburg, South Africa. There is something very special about being able to attend the Lionesses of Africa Conference in an inspirational environment, one that lifts the spirits and enhances the overall positive event experience. The Inanda Polo Club is once again our venue of choice for the 2017 event, and there is nothing quite like networking in beautiful surroundings whilst watching magnificent polo ponies and their riders in action in the background. 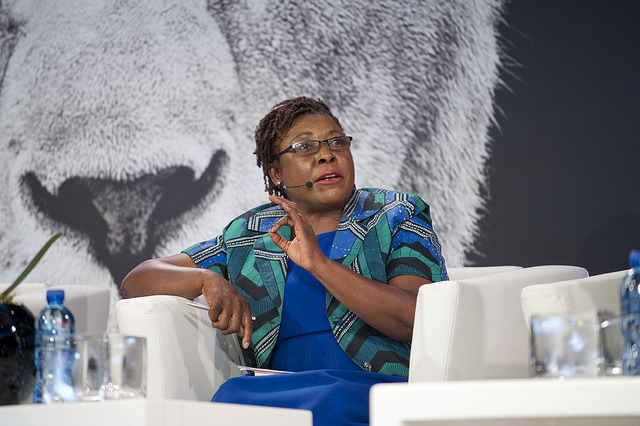 A 35-strong speaker panel featured many of the continent’s most successful women entrepreneurs, motivated and inspired a belief in all women that they can pursue their personal entrepreneurial dreams and make them a reality. Watch or read a sample of the media coverage garnered by the Lionesses of Africa Annual Conference 2016.